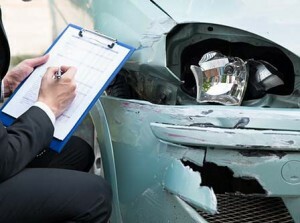 The only thing more stressful than dealing with car damage is not knowing where to go for reliable help. When you’re searching for an auto body shop nearby, you need to find a business that you can trust to get your car up and running in short amount of time and charge an honest price for the work. What Credentials Does The Business Have? The first thing to know before selecting a body shop is how long it has been in business. Repairing a vehicle correctly and quickly takes knowledge and experience. An important sign of a reputable body shop are certifications from car manufacturers and industry associations. Good national certifications to look for are the National Institute of Automotive Service Excellence (ASE) and the Inter-Industry Conference on Auto Collision Repair (I-CAR). These certify that technicians have been trained and have the skills to make the proper repairs safely. As the car owner, it’s up to you where to bring your car for repairs, even if your insurance company has agreements with other body shops. Don’t feel pressured into choosing from the shops on your insurance carrier’s list. To find a reliable auto body shop, it’s best to shop around. Get three or four estimates from different businesses near you. Most repair companies provide free quotes and some can calculate an estimate on their website. The lowest estimate is not necessarily the best, however; be sure to take into account the quality of the parts and the expected long-term durability of the repairs quoted as well. What Kinds Of Parts And Materials Will Be Used To Make The Repair? This is often where you will see the most variation between estimates. It’s important to ask if the repair shop will use aftermarket, used or original equipment manufacturer (OEM) parts. If sections of the vehicle will need to be painted, you should ask if the paint used will match the current color. A paint code attached to the car indicating the exact type of paint used by the manufacturer. Ask if the repair shop will match this color and if they will tape-off or blend the repaired area. Some body shops tape off the repair area when painting, this saves costs for the body shop but will cause problems for you later. Is There A Warranty For Repairs And Replacements? A body shop which stands behind its work should offer a written warranty. Ask how long it lasts and what it covers. The minimum should cover the repair work, parts, and paint job for one year. Does This Auto Body Shop Have Insurance? You never know when bad luck will strike twice. Make sure that the auto body shop you choose for repairs carries insurance for fire, theft, or any damage that may happen to your vehicle while it is being repaired. If your car will be held there for a few days while being repaired, you want to make sure it’s insured from further damage. What Are Others Saying About This Business? Ask around. What do friends, family, and acquaintances have to say about their experience with that auto body shop? Do they recommend it? Would they go back? Satisfied customers are the best resource a body shop can have for attracting more business. You can also get a feeling for the quality of service that a shop near you provides by checking out their ratings, reviews, and customer comments online. Read if others have had positive experiences with customer service, felt they received quality repair work in a timely manner, if estimates were accurate, and the prices were fair. Be understanding that not everyone is perfect so be sceptical if every review is a 5-Star review. If all reviews are 5-Stars, these reviews are most likely generated by the company. Can you work with my insurance provider? How long should it take to repair? Can you provide a rental car while mine is in the shop? Ask the right questions up front and not only will you avoid hidden costs, you will begin to build a relationship with a company that you can rely on today and in the future. Getting repair work on your car can be a stressful time, but finding a body shop that you trust can help put your worries to rest. Look for a local owned, family operated auto body shop where service is friendly and high quality. Auto Body Xperts is proud to say we have been in business for 70 years! We are also I-CAR Gold Certified and ASE Certified. 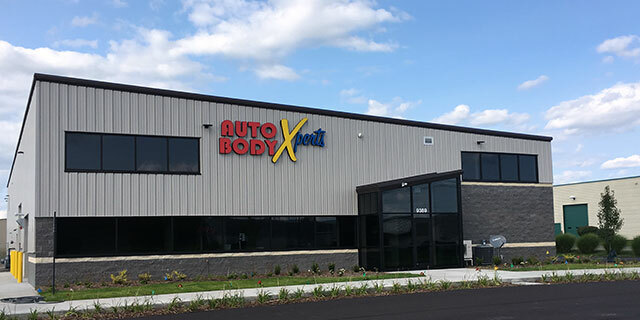 Auto Body Xperts repairs the vehicle based on what the original equipment manufacturer (OEM) recommends to provide a high quality and safe repair. As for painting the vehicle, Auto Body Xperts does not cut corners. We use eco-friendly (waterborne paint) to paint the damaged area. We blend the paint so you can not tell where the damage was and so you don’t have any problems with the paint in the future. Auto Body Xperts goes way beyond the industry minimum; we offer a lifetime warranty. All Auto Body Xperts locations are fully insured. We encourage customers to review us online, we appreciate the feedback (good and bad). See our reviews online to see what our customers think!